I am not sure why I do it. Maybe it is because I have worked in a Turkish hotel before and seen what goes on behind the scenes. Maybe it is because I get a kick out of writing reviews on Trip Advisor and take the responsibility too seriously. As a child, my dream jobs were a mystery shopper and restaurant critic so perhaps subconsciously; I am acting out the dream as those wonderful jobs failed to materialize for me. So when I knew I was going to stay at the Taskonaklar cave hotel, I eagerly looked forward to putting it through my critical inspection. 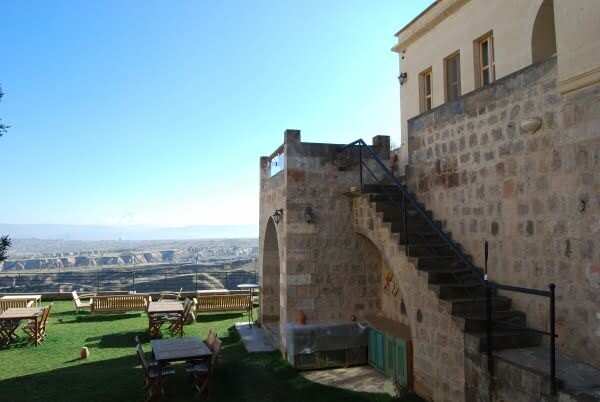 Described as a five star boutique hotel, it is in the small and picturesque resort of Uchisar in Cappadocia. 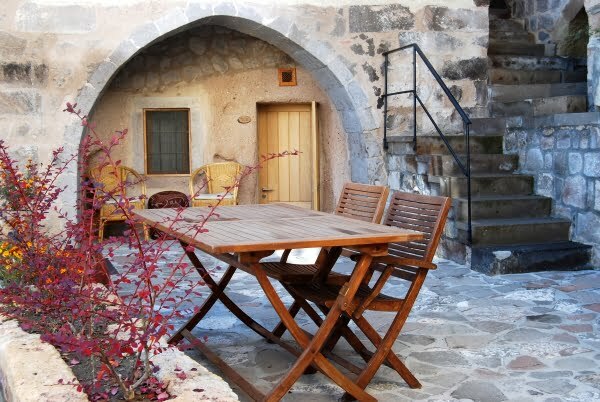 The hotel is constructed around caves and they are enthusiastic about preserving the natural landscape of the region. So I was impressed that they are preserving the natural landscape but even more surprising is that the Taskonaklar cave hotel is the first Turkish hotel I have stayed in that practices eco-tourism. I have mentioned Eco incentives to other hoteliers and the reaction has been far from welcoming. Unless it makes them money, they are hesitant to adopt any scheme without their arms twisted behind their back. I easily found the hotel because it is centrally located and after checking in, I looked around. 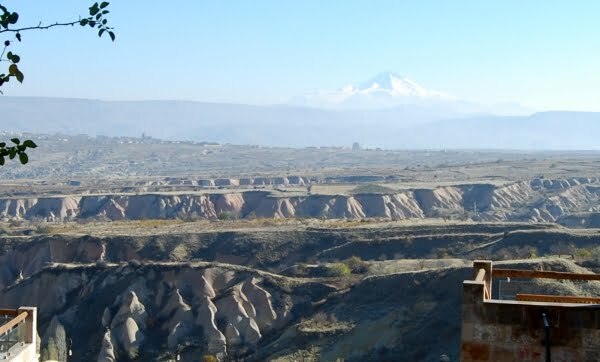 The hotel has sixteen rooms based around a courtyard, which overlooks onto Pigeon valley and on a clear day, Mount Erciyes can be seen in the distance. My room was near reception and I instantly succumbed to the WOW factor. The entrance took me into the seating area, which I would call a living room instead. From there the corridor led past a walk in wardrobe to reach the bedroom. 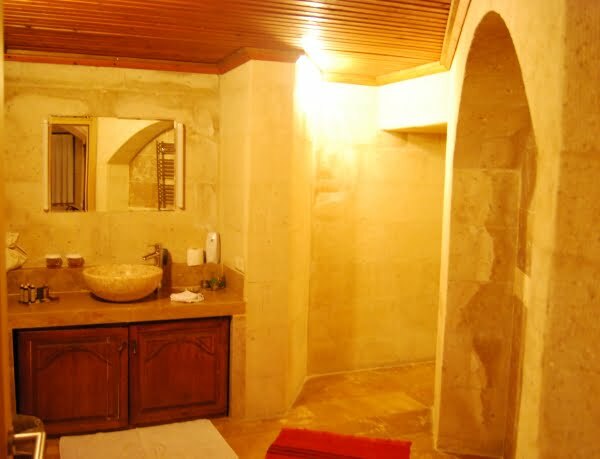 A separate doorway then went further into the cave to reveal the bathroom and another separate connecting room with the shower. The large size amazed me as I have seen one-bedroom apartments sold in Turkey, which are smaller than this hotel suite. A full information booklet lay next to the bed. 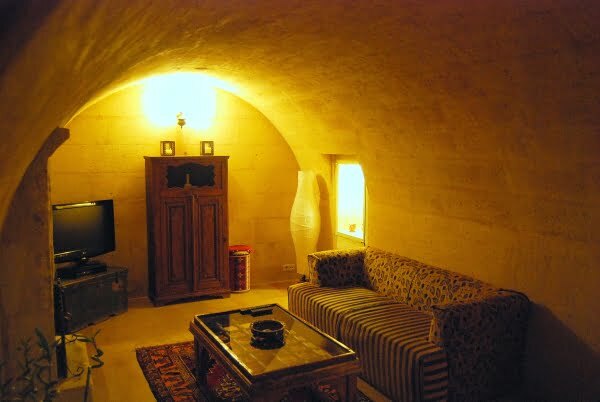 It introduced me to the hotel facilities and gave details and tips about Uchisar and the Cappadocia region. The tea and coffee maker was greatly appreciated and my assumption that the coffee sachets would not be replaced was wrong as the next day, they were. Slippers, books to read, mini bar, heated towels, satellite TV, and a fireplace were other little perks that made the stay comfortable. 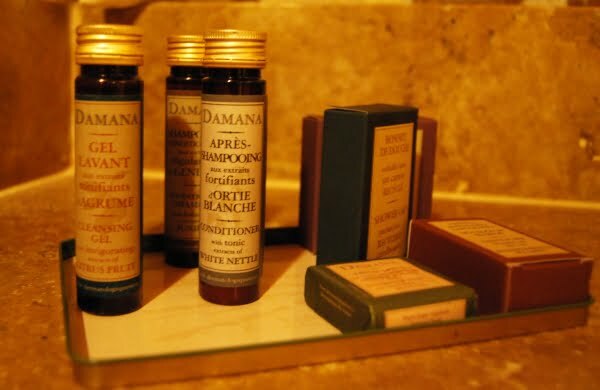 I also loved the toiletries that were not your sub standard bulk ordered crap that appears in large all inclusive hotels. I could not find fault with the large extensive buffet for breakfast either so the next step was to check the customer service. Hotel guests can make use of bike hire, order packed lunches, book trips, and excursions, but it was the local knowledge of Uchisar that I was interested in and the manager did not disappoint. He answered all my questions and volunteered extra information on top of that. So with this hotel, I had to admit defeat. The professional attitude and a good business model made it hard to find any faults during my stay. If you are staying in the Taskonaklar hotel, my tips are to pick room 102 and wake up early in the morning to watch the hot air balloons of Cappadocia. Apart from that, the hotel has taken care of everything else. 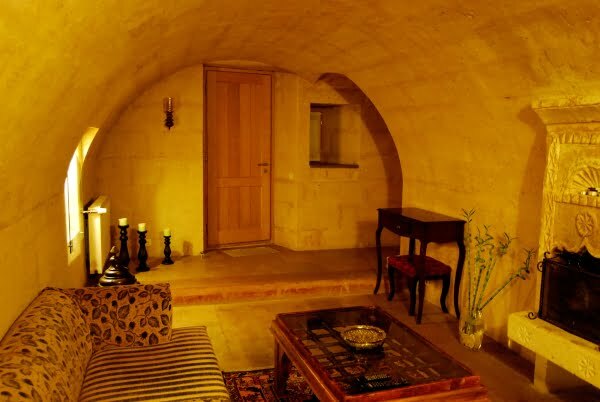 If you want to see more of this gorgeous cave hotel in Cappadocia, look at these superb virtual tours of the rooms, lobby, garden and restaurant. Readers Question : Have you stayed in a cave hotel before? Hi Simon, Taskonaklar is more luxurious and in Uchisar whereas Spelucna is in Goreme. If you have the budget, I would definitely upgrade to Taskonaklar. 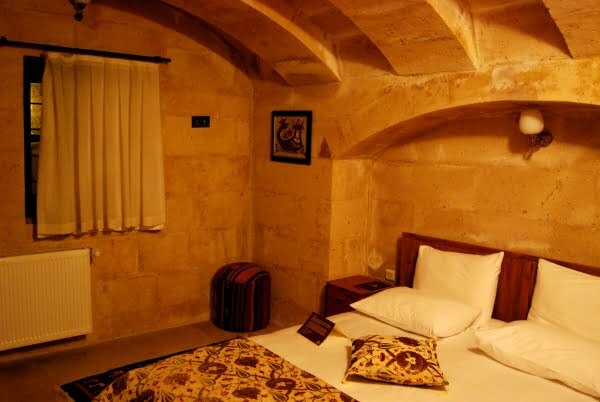 You wrote a post about the time you spent at Spelucna Hotel also in Cappadocia. Looks like you had an amazing time in both places! I was wondering which hotel you would recommend: Taskonaklar or Spelucna? Cappadocia has history as one of the first places where Christianity spread. The best way to research it is probably reading up about the Cappadocia Fathers, which are credited with spreading Christianity in its earlier days throughout the region. wow, I feel so ignorant — I didn’t know that Cappadocia had biblical history behind it! May you point me to the biblical story / specific verses please? Would love to read all about it! 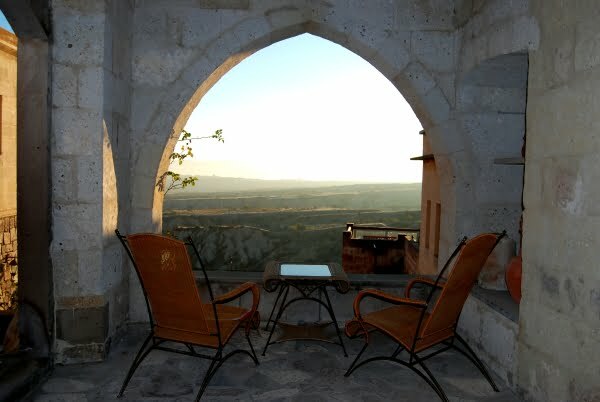 E-mail us when you decide to explore Cappadocia! Wow! I stayed in a beautiful cave hotel, Elkep Evleri, but this place seems to have it beat with all the extras and the service. I’d stay here in a heartbeat! Never looked at it that way Jack – true though! Fantastic. 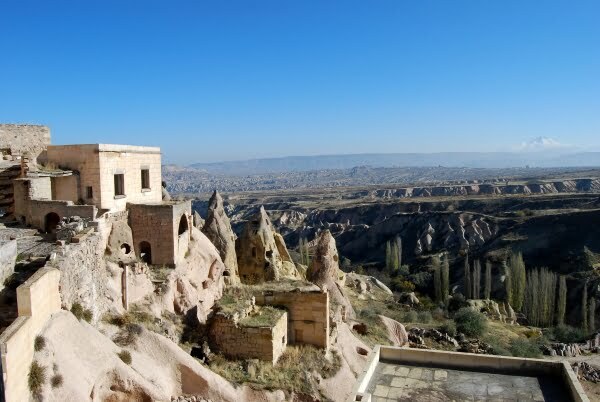 Cappadocia – from biblical to boutique in fifty years.